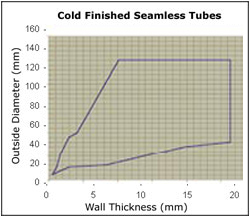 With a unique combination of Assel Mills and a PQF mill, ISMT is one of the world largest and most diversified manufacturers of specialized seamless tubes. 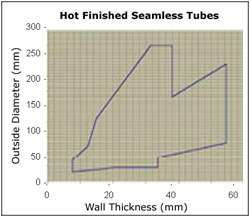 We produce both Hot-finished as well as Cold-finished seamless tubes ranging from an outside diameter of 6mm to 273mm. Our tubes are used in a variety of applications such as the manufacture of auto-components, bearing races, OCTG products, drill rods, boilers, heat-exchangers, etc. Apart from tubes, ISMT manufactures a variety of value added products such as cold rolled and machined rings for bearings and constant velocity (CV) joints, swaged and machined axles for trucks, steering columns for two-wheelers and ready-to-hone tubes for hydraulic cylinders. At ISMT we have invested in sophisticated facilities and developed specialized processes for the manufacture of bearing tubes. Apart from producing tubes from standard bearing grade steels such as SAE 52100 and DIN 100 Cr6, the company also produces tubes from tailor made steels. The steel used for the manufacture of bearing tubes is produced exclusively through the electric arc furnace route, is ladle refined and is vacuum degassed. 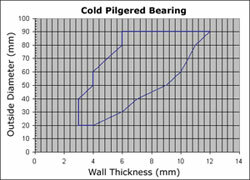 As a result, the steel is extremely clean ensuring a high fatigue life for the bearing. 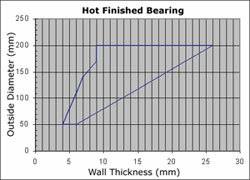 ISMT supplies bearing tubes to the major bearing manufacturers throughout the world. Oxygen content < 15ppm. On specific request oxygen content < 10 ppm can be offered. The tubes are tested to ensure that the steel is free from injurious imperfections such as piping, cracks, porosity, segregation or injurious inclusions as referred to in ASTM-381. The inclusion rating is evaluated in accordance with Plate III of ASTM E-45 ensuring that the length of any inclusion does not exceed 0.65 mm and that the worst field of each inclusion type from each specimen does not exceed the limits given below. The tubes are spheroidized and annealed to ensure that the microstructure consists of spheroidized commentate in a ferrite matrix with carbide size conforming to Plates 2 to 4 as per IS 4398-1972 and CG 2.1 - 2.3 as per SEP 1520-78. We ensure that there is no carbide network and the structure is free from segregation of carbides in either streak or cluster form. Hot finished, spheroidized 230 BHN max. Hot finish, spheroidzed & peeled 230 BHN max. Hot finished, spheroidized & stress relieved 207 BHN max. **Note: Tighter tolerances can be offered on specific request. Tubes are generally supplied in random lengths of 3 - 4.5 mts with 10% up to 2mts. Square cut & one end chamfered. ISMT Limited is one of the few companies in the world to offer just-in-time delivery of hardened ring sets for the manufacture of bearing races, bearing bushes and sleeves for linear bearings. These rings are manufactured through a process of cold ring rolling (on Bad Deuben machines) and / or machining.